No, the Great Wall is not in Nanning, but we finally have our computer working again and I wanted you to see how crowded it was on the wall. 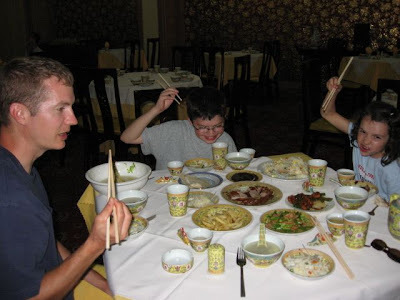 The meals have been very good and the kids are game to try the chopsticks. Here, the kids (and yes, I'm including Lyle in that) are ready for a chopstick race. The challenge was to see who could be the fastest to pick up a piece of Peking duck, dip it in the special sauce and then eat it. I believe it was a draw. I am totally chopstick impaired. 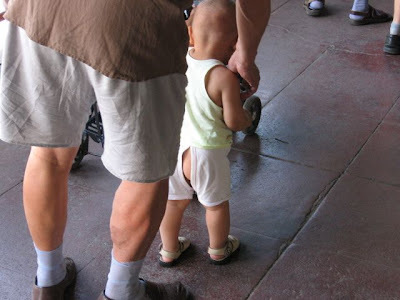 Split pants are worn by all the toddlers here. At the airport in Beijing, we were waiting in line behind a woman and her son who looked to be about a year and a half. Without warning, he squatted right next to us and went to the bathroom on the marble floor. The mother obviously saw but didn't seem the least bit bothered. From what I've heard, our babies have been in diapers, but who knows, little Maya may be a split pants wearer. 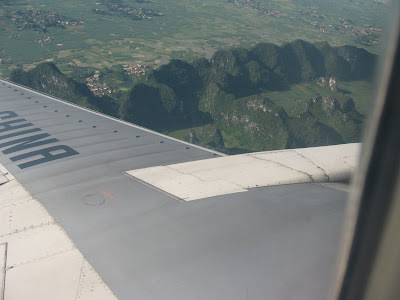 This was our view flying into the Guangxi province. It doesn't do it justice. It is absolutely breathtaking here. Our guide mentioned that he likes the quieter pace of living in a small city like Nanning. We asked him how many people live here and he said, "Oh, about 6.4 million". Apparently, it's the Chinese equivalent of Mayberry. Look what we found in our room! We got updated information on Qiu Ju today. The most surprising bit of info is that she has spent time with a foster family! This is fabulous news, but it may make her transition even harder. Her foster family reports that she loves to eat congee (thankfully they have that here at the hotel) and that she loves to play with toys, watch TV and play on the floor. They listed no dislikes but wrote that she is very sensitive to mosquito bites and has pollen allergies. Does she sound like our daughter or what? 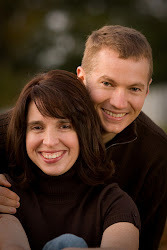 David said we'll meet in the lobby tomorrow at 3:30 and, "by 3:50 you will be holding your baby." 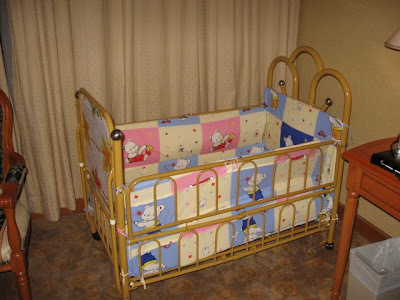 Later today he's taking us to Walmart of all places to help us buy Chinese baby supplies. Should be interesting! I should mention that the heat is something else here! Out hotel is next to a beautiful lake and park. We walked around the lake today and came back totally drenched. It's interesting to see the people here. We've been so impressed with the active social groups that the older people seem to have. From our hotel window here on the 14th floor, we can see large groups of people doing Tai Chi in the morning and circles of women who appear to be in their 60's doing hacky sac. Can you imagine that in the U.S.? In Beiiing, there were people playing a raquet game kind of similar to badminton but with a heavier ball. The game seems to be more artform than sport, and each of us got to try it. You should have seen some of our around-the-back and under-the-leg moves. We bought a couple of paddles and the ball and the kids have been practicing. We'll try to update later tonight, if not, next entry will be Maya day! Who would have guessed that Wal-Mart could be such an adventure! Besides the yellow smiley faces there wasn't much that felt familiar. The smell was not pleasant, but we became used to it. 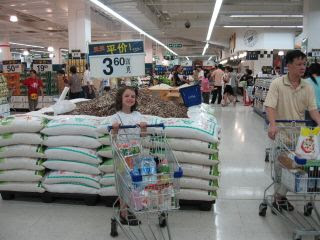 Our guide David and Lily, our adoption agency's China facilitator, helped us pick out formula, baby snacks, and baby food. It's funny because none of us are first time parents, but everything is different here and we want to make the babies as comfortable as possible. We also decided to buy a fold-up stroller because it's so hot here and holding the baby all the time would get uncomfortable. We were told to avoid the Winnie the Pooh stroller, so we picked out a blue plaid stroller that looked sufficient. When we got home and opened the box, we found Winnie the Pooh with the odd phrase, "Fish will be fish". 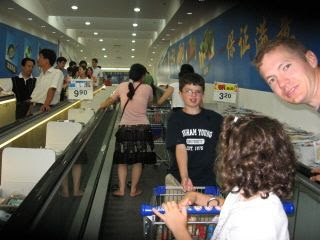 Wal-Mart in Nanning has three floors. There's kind of a combo moving sidewalk/escalator that gets you from one floor to the other. There were so many people there and an amazing number of employees. David helped us pick out some DVD's of popular Chinese kids shows. One TV there was showing a DVD called, "Chinese Kids with a Gifted American Child." They showed a tree and underneath was written "tree". So far so good. Next, they showed many trees and underneath it said, "fortress". The gifted American child has issues. We went swimming tonight in the gorgeous outdoor pool. I think we're going to play a card game and then hit the hay. For the first time last night we finally slept through the night. Besides some intestinal distress and a mysterious rash on Lyle's feet, we are all doing well. 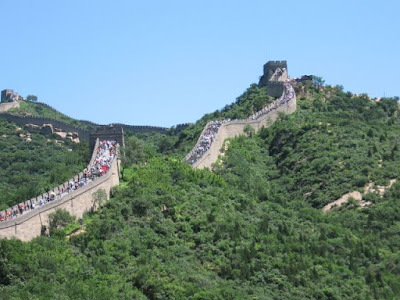 We've met everyone in our Guangxi travel group now and it seems like a wonderful bunch. There is such a feeling of excitement and camraderie. Tomorrow is the big day! We'll have to find something to do to keep busy until 3:30. Let's hope we can sleep tonight! We'll post pictures as soon as we can--they'll probably be up your time Monday morning. Until then, bye from China! We love you Abby! Tomorrow we get your little sister!